Public transportation has an innate ability to blend in. Passing buses and bright yellow taxis, roadside passenger shelters and drab benches all do an excellent job of deflecting attention from themselves. They are aspects of our infrastructure that are generally assumed to be adequate if functional. Rarely is much thought allocated to their improvement by the average passerby. 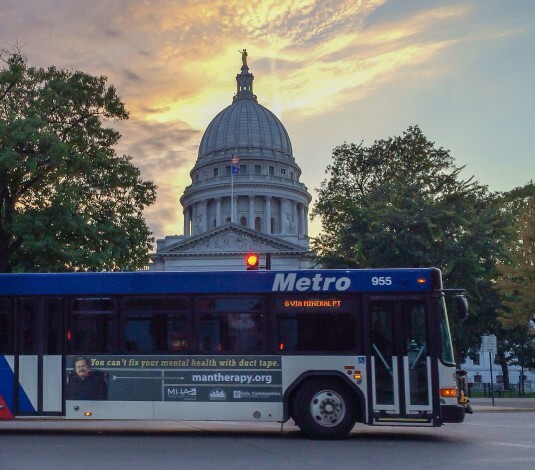 Madison Mayor Paul Soglin, however, has made it a personal mission to reevaluate the current system in an attempt to shave time off commutes through a multitude of strategies as well as improve the overall quality of buses in Madison. Per The Cap Times, the plan has been dubbed the Bus Rapid Transit system and will aim to make travel times shorter by using high-capacity buses, a system of prepaid tickets, cutting down on the volume of stops and even granting bus drivers the ability to extend green lights. This tentative plan is predicted to cost nearly $155 million to construct, and around $10 million to operate annually. Additionally, the planning process alone would require around $1 million in state revenue and $1 million in federal revenue. While these figures may seem inflated, and an argument could be made in favor of allocating the funding to another sector of Madison in need of improvement, this plan benefits those not fortunate enough to have access to a car, as well as students in need of a quick way across our expansive campus, and that’s important. It’s refreshing to read about a plan to improve life in Madison void of partisan disagreement revolving around identity. This isn’t a plan that implicitly targets a minority population, or one that sorely needs to be advocated for — rather it’s an honest attempt to improve the lives of the average Madison resident. According to a BRT study conducted in 2013, the new system would cut the travel time from Capitol Square to West Towne from its current 51 minute total down to just 36 minutes, and on average would halve wait times from 30 minutes down to 15. 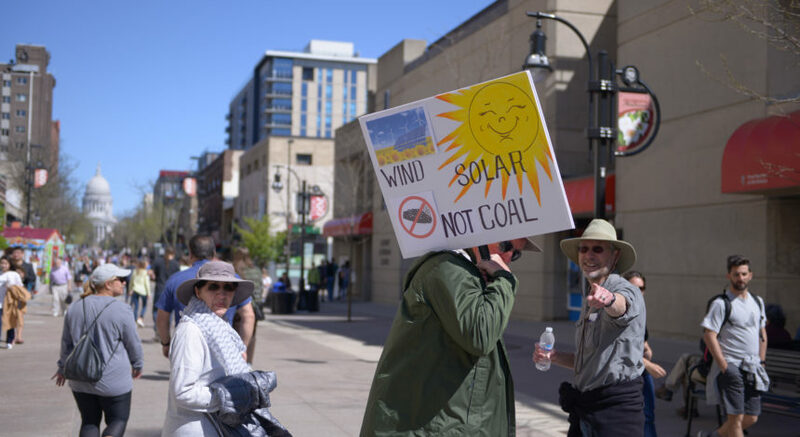 These direct investments into the functionality and flow of Madison should be supported by our local government not only because of the benefit such a plan will bring to the underprivileged sector of Madison, but also because of the scope with which it could benefit Madison environmentally. The plan is a part of a larger, more sweeping transportation plan titled Madison in Motion, which is centered around implementing effective and accessible alternatives to driving. David Trowbridge, transportation policy and project manager for the Planning Division, spoke to The Cap Times about the implications of a city less reliant on common cars. “It’s not that we ignore cars, but we also know that a city that’s completely relying on cars is a city we don’t want to live in, it’s overly congested,” Trowbridge said. While congestion is a valid concern, there a noticeable, even obvious correlation between the number of drivers in a city and the city’s emissions. 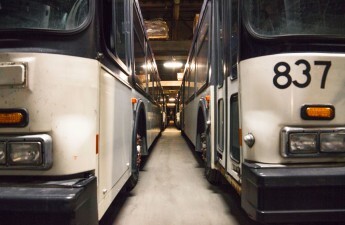 Should more city dwellers choose busing over their own cars, effectively carpooling to their respective destinations, one could expect overall emissions to decline. Measures like improving the current public transportation system can make this idealistic goal that much more attainable. 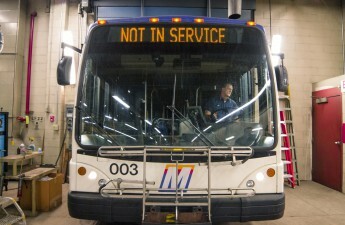 Under an administration that has demonstrated neglect for both underprivileged populations and the undeniable effects of climate change, this public transportation overhaul, however minor in its global implications, is the kind of low-stakes high-reward legislation Madison officials should unequivocally be supporting. Measures such as these both boost the reputation of the city as environmentally conscious all while making the lives of those often overlooked that small bit better. 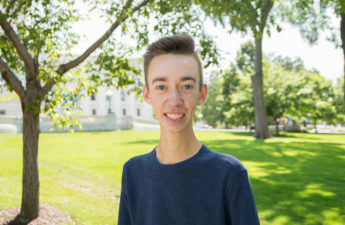 Lucas Johnson ([email protected]) is a sophomore majoring in journalism.